Since 2015, Keymailer have been bringing a host of innovative tools to the games market. It’s a free, global platform for developers and creators alike, allowing users to distribute and receive game keys respectively. Influencers can sign up and connect their social accounts, and the Keymailer system collates that information, allowing publishers to reach the best possible influencers for their product. Keymailer also manages a host of workflow tasks, including NDA’s, embargo monitoring, and key tracking. It’s all pretty impressive. “Keymailer began as a personal project between myself and Mark Turpin (CEO of The Yogscast) because we were both experiencing different sides of the same problem.” Co-founder James Beaven tells us. “Typically, for every ten emails I’d have from genuine YouTubers, I would have a hundred from scammers. And while we may assume that that’s a PR only problem, it’s nevertheless a problem for the YouTubers themselves, because it’s damaging their IP. A channel is often looking for three things: Is the game good? Is it going to entertain their audience? Will it make good content? Creators need to hit qualifiers to be accredited as an influencer by Keymailer, and that requires certain parameters. However, anybody can make an account and request keys, so scamming does still hit the platform occasionally. “It’s less so a problem for us than it is outside of the system.” James says. “Because we’ve now been running for 2 years, we’ve developed a number of internal systems and processes that have helped us identify when and where those scamming events are actually taking place, so we get the opportunity to step in a lot quicker. 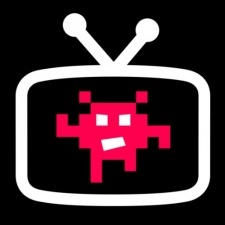 “It’s worth stressing that we’ve never used these statistics to beat down on channels. It’s a way for us to spot if something is going wrong, and give us the option to investigate it. Keymailer’s chairman Jamie Ridyard adds; "Another interesting thing that happens just with the volume of keys being processed through the system, leaving aside the fact that we manually eyeball each accreditation to make sure they’re legitimate. "If we have someone, especially one of the higher ups requesting hundreds of keys a month, we can compute ratios between how many keys they request, versus how much coverage they actually create. "We have a built in system to sort and filter the influencers, if someone takes a load of keys and doesn’t create enough content, they’re up for review 5 minutes later." There’s sometimes a misconception that YouTube and Twitch channels cover absolutely everything, and unless a game is ticking those three boxes, then it’s unlikely to get covered. Keymailer requires creators to have at least 50 subscribers on YouTube, or 50 followers on Twitch to be considered for accreditation. They also need to tag content frequently, using set tags. However, there’s an argument that 50 may be too low, given the saturation of both markets currently. With a staggering 463,739 channels registered (as of September 2017) Keymailer work tirelessly to filter out the genuine from the fake. As YouTube evolves, there are lots of big channels that can very easily gain access to publishers and developers based on their numbers, but their watch times are incredibly low. Publishers don’t care about subscriber numbers, they care about watch time. Keymailer is the only platform that can show them that. On the other hand, there are channels that are a tenth, maybe a hundredth of the size, with incredible watch times. Subscribing to channels isn’t something viewers actively do anymore; but Google knows what people are watching, and will push similar content on to them. "We’ve seen cases of channels with 30,000 subscribers delivering watch times that massively exceed channels with over a million subs." Jamie explains. "Just because people don’t subscribing doesn’t really matter, what matters is Google’s mechanism of pushing content that it thinks viewers are going to like. "Subscription isn’t so relevant if a viewer is constantly recommended things that they’re going to enjoy, so the channels that are producing the right stuff are going to enjoy those higher watchtimes. All those viewing stats are not public, either. Keymailer picks those up in the backend of the broadcasting platform. And then we anonymise it, and share it with our publishers. Keymailer is just getting started, in terms of what they plan to provide for their users. "We’re probably about 10% in to our roadmap." Says James. "A lot of our growth has been subject to rescaling, because we weren’t prepared for the user uptake that we’ve had. The challenge for us now, is to represent written editorial content in same way we can with video social platforms, such that it's contextual to today's overall media mix and focused on real-time data. "That's a significant block of work we have planned for the New Year. 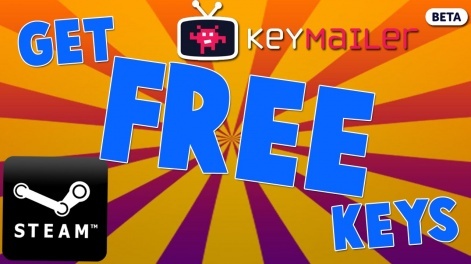 Game publishers and agencies can send keys to anyone they like through Keymailer today, all they need is an email address for the recipient." "We want people to remember that Keymailer at it's core is free, and while we wiill have pay-to-use features, our basic function has always and will always be free of charge to everyone."